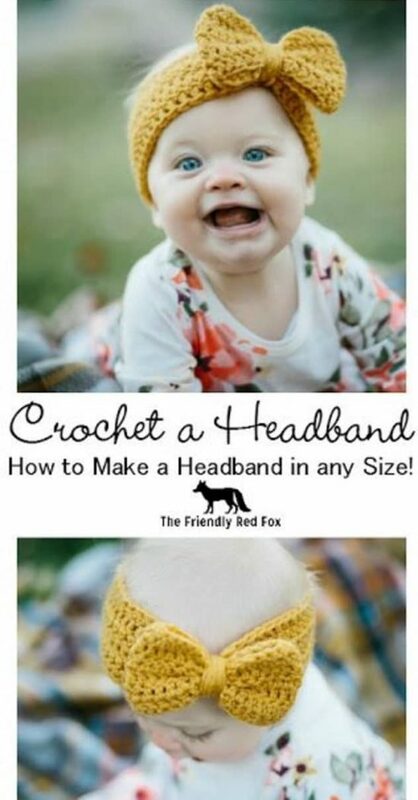 Nothing is quite as cute as dressing up a newborn baby or little one. 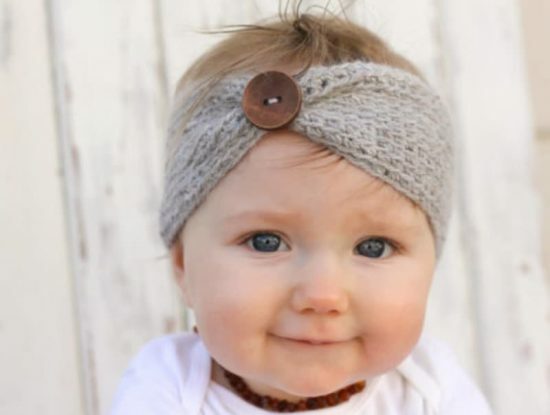 Those chubby cheeks, baby ears and curious eyes make anything you pop on them instantly cuter! 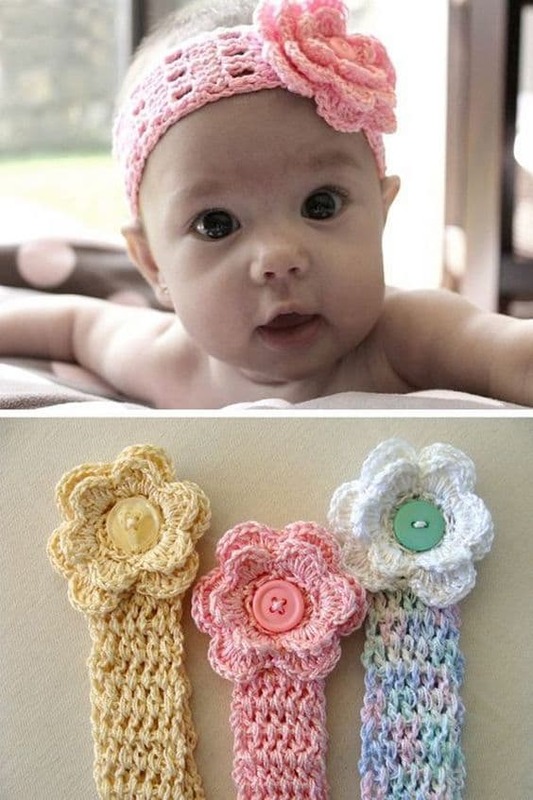 When we spied these adorable crochet baby headbands on Pinterest, we knew we had to share! 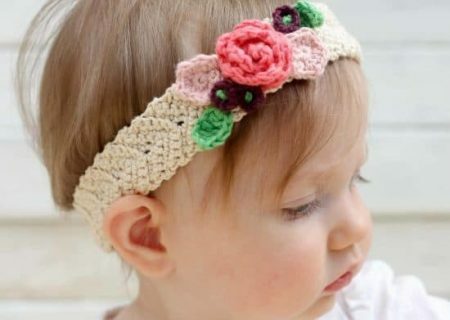 Whether it has bows or flowers or is a plain headband, they look adorable. 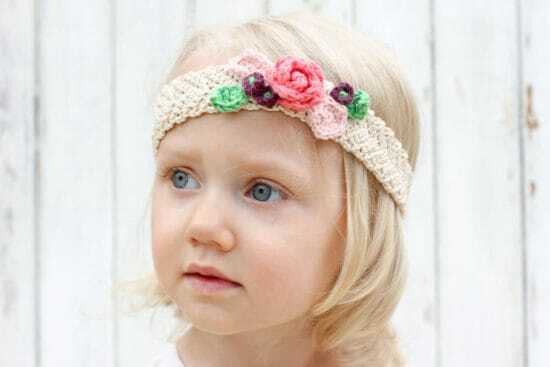 This headband from MakeAndDoCrew features beautiful flower buds. 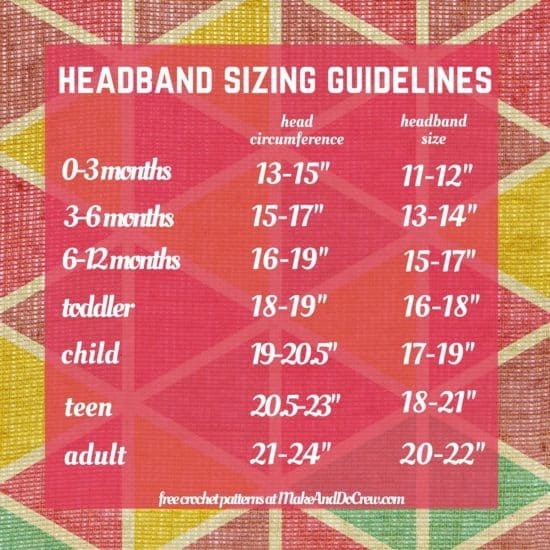 You can make this one in any size, from child to adult, by using the handy chart below to figure out your sizing. 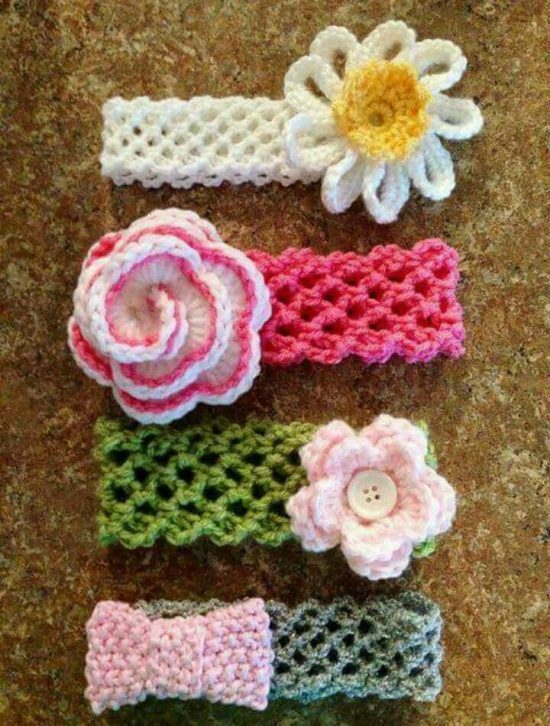 You can use this pattern as the base for other combinations too. Just change the color and embellishment. 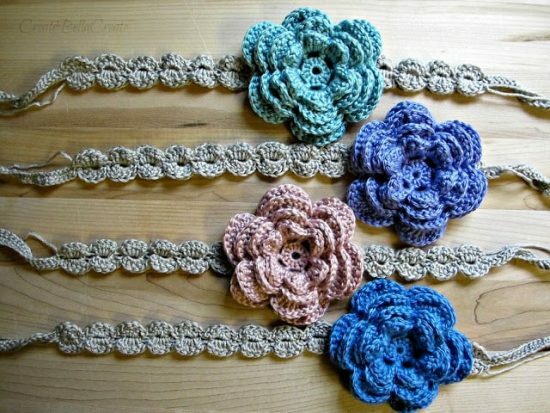 You can follow any stitch pattern using this chart as a guide, or even just make a headband using simple single or double crochet stitches.